Lake Michigan is one of Wisconsin’s greatest assets, and its water is critical to the state’s future. The Fund for Lake Michigan is here to help sustain the Lake on behalf of the people and places that depend on it. Our goal is to have a deep, positive impact on the health of Lake Michigan and on the communities of Wisconsin, now and into the future. We invest in water quality initiatives that promise tangible near-term and long-term benefits to the plants, animals, and people of Wisconsin. Our grants make beaches safer and drinking water cleaner. They restore and improve habitats to support fish and other species that are critical for healthy ecosystems and key to a strong economy. And they also promote human health and safety, an educated workforce, increased tourism, and a bright future for Wisconsin’s businesses and communities. We seek input from a range of stakeholders to ensure funds are invested in organizations that are doing work strongly supported by the community. We and our grantees operate with low overhead, promote activities and solutions that ensure future cost savings. We are transparent about how the Fund’s dollars are spent, we communicate with the public through various channels, and we track and report on the outcomes [hyperlink to UW-Whitewater report] of our work. 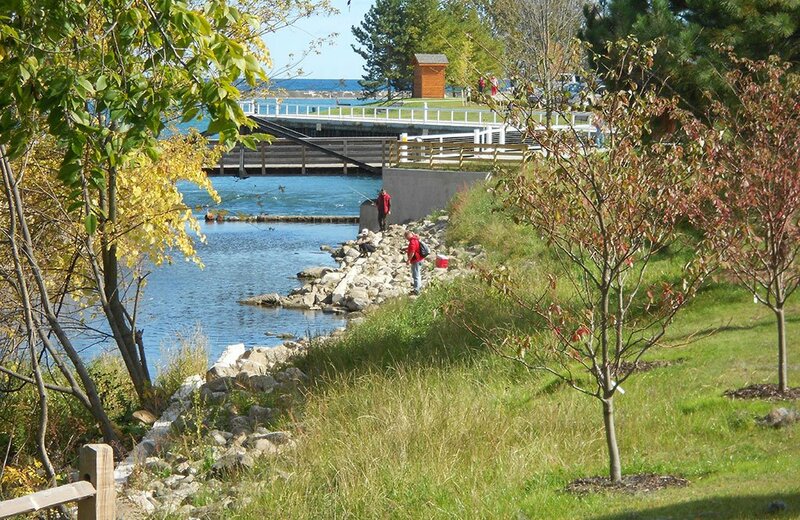 We promote partnerships among the many players in southeastern Wisconsin and the Lake Michigan basin and leverage the significant public and private investments of other key Lake Michigan donors. We catalyze the skill and expertise of our partners, support promising new approaches and technologies, and empower the next generation of Lake Michigan stewards. Working with others, we deepen our impact.